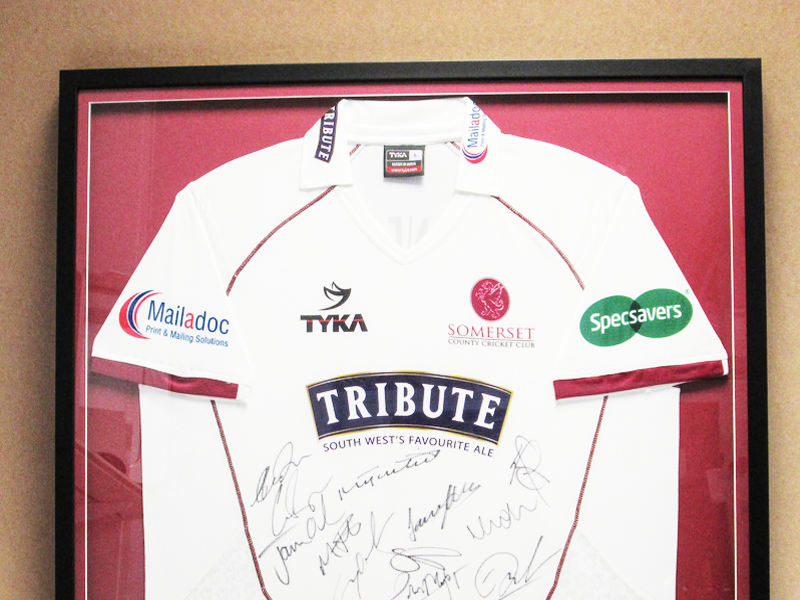 Framing your sports memorabilia is the perfect way to show your support whilst preserving those highly valuable items. Whether it be a signed footie shirt, a pair of signed goalie gloves or even a signed hockey stick, It can also be a great unexpected gift for a sports fan. Many framers and even some high street photographers offer sports jersey framing, its hugely popular and you can now even buy D.I.Y. packs to do it at home. However, these products rely on low build cost materials, i.e. highly distracting reflective glass, glass that is not UV protective wont stop your jersey fading and light weight frames that will warp with time and temperature change. To get the job done right, it’s still important to use conservation grade materials and a professional framer to preserve these treasured objects, after all they are unique, you can’t get them again.